Let’s face it, the holidays can get pretty crazy. You eat things that you normally don’t eat and see people that you don’t regularly see. You’re in a new environment surrounded by things that you aren’t familiar with. Add in a child on the autism spectrum and you’re looking at a potentially very bumpy road. Here some tips to help you survive those large family gatherings that occur around the holidays. We may do different things to celebrate the multitude of holidays in December with our families, but we all tend have one thing in common — typically we have to travel some amount of distance to get to them! 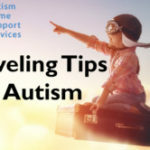 Any amount of travel can be challenging, but if you have a child with autism it can be even more daunting. Whether you are traveling by plane, train, or automobile, here are some tips to make your trip go a little smoother! Children on the spectrum often need preparation for any big change in their lives, and a change in weather is no different. With that in mind, here are some quick tips in making this transition more successful. 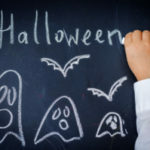 For those that might not be familiar with autism, it is important to understand that each child who comes to your door trick or treating has different abilities — some more extreme than others. Certain behaviors might not be or mean what they seem to.